The restaurants offer quality dishes throughout the day. 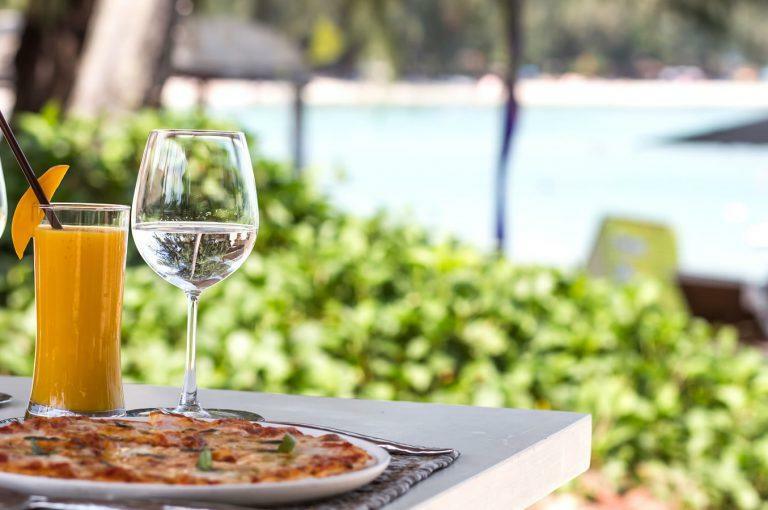 You can enjoy the good food and sought-after dishes served at the Terrazza sul Mare Restaurant, try a delicious cocktail and delectable snacks in the beach Bar or spoil and refresh yourself with a tempting artisan gelato offered at the Bar in the Piazzetta – the central square. Within the hotel you’ll find we can “sate” your every need. The Terrazza sul Mare Restaurant looks out over the splendid Cala Pitrizza bay; by gentle candlelight, with the scent of the sea lingering in the air, you can taste our exquisite traditional Gallurese dishes as well as international options, with our fresh summer menus, or a luscious pizza cooked in our wood oven. Our secluded and sophisticated space gives the Terazza sul Mare a unique atmosphere. Here, in addition to our à la carte menu, one can also take advantage of the breakfast service, or the half or full board options. Our bars are real dining and entertainment spots; From snacks during the day to aperitifs at sunset, between sea, music and entertainment, everything is aimed at making every moment of your day unique. Even the greediest palates will be satisfied by the artisan gelatos created at the Gelateria overlooking the piazzetta dei Delfini. Crêpes, smoothies, and slushies will enliven and refresh your days.